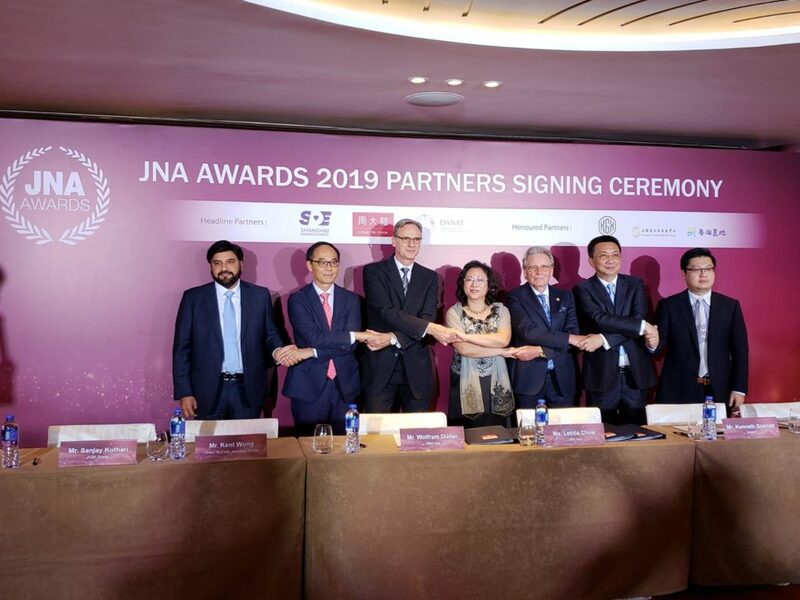 As Headline Partner of the prestigious JNA Awards 2018, the Bahrain Institute for Pearls and Gemstones (DANAT) attended the exclusive Awards ceremony and gala dinner in Hong Kong on 17th September, held to celebrate the individuals and companies recognised by the Awards. 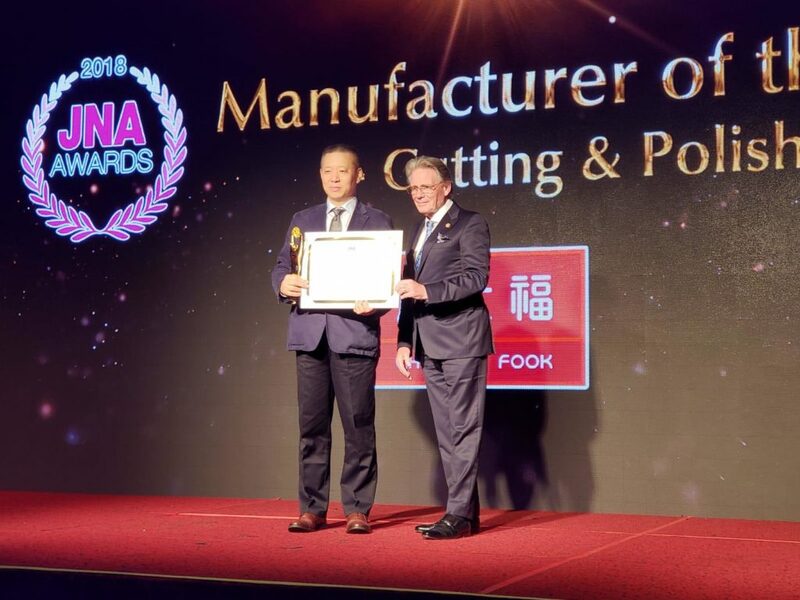 The JNA Awards, is one of the most well-known international awards in the gem and jewellery industry championing the innovation, best practices and excellence demonstrated by the individuals and companies honoured in the 12 award categories including Brand of the Year, Outstanding Innovation of the Year and Sustainability Initiative of the Year to name but a few. The Awards gala dinner was attended by an elite group of jewellery industry leaders who play a vital role in the gem and jewellery industry globally. 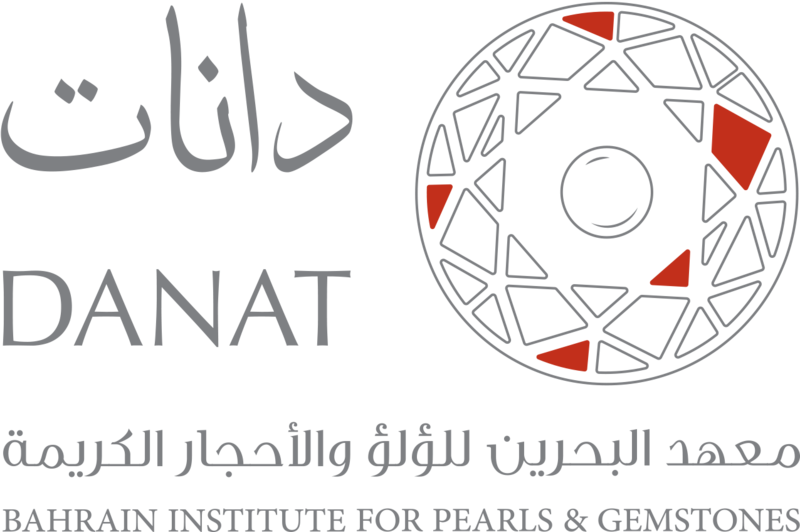 DANAT Chairman, Yaser Alsharifi explained ‘DANAT is committed to the highest standards in ethics, professionalism and expertise which is why DANAT and the JNA Awards have a natural alignment of values for the betterment of the international gem and jewellery industry. DANAT, as Headline Partner to the JNA Awards 2018, has shown its support of companies and individuals within the industry that demonstrate excellence’. DANAT CEO Kenneth Scarratt addressed the audience at the JNA Awards gala dinner in a speech that highlighted the Kingdom’s proud pearling heritage and how it has evolved to become the strong pearl, gemstone and jewellery industry of present day. Reflecting on the JNA Awards 2018, Kenneth Scarratt stated ‘it is an honour to be a Headline Partner of the JNA Awards for 2018 and to have the opportunity to promote DANAT and the Kingdom of Bahrain to global leaders of the gem and jewellery industry at this elite event. It is important the gem and jewellery community works hard to continually elevate the practices and standards of this fine industry and the JNA Awards is certainly an important part of this international effort. 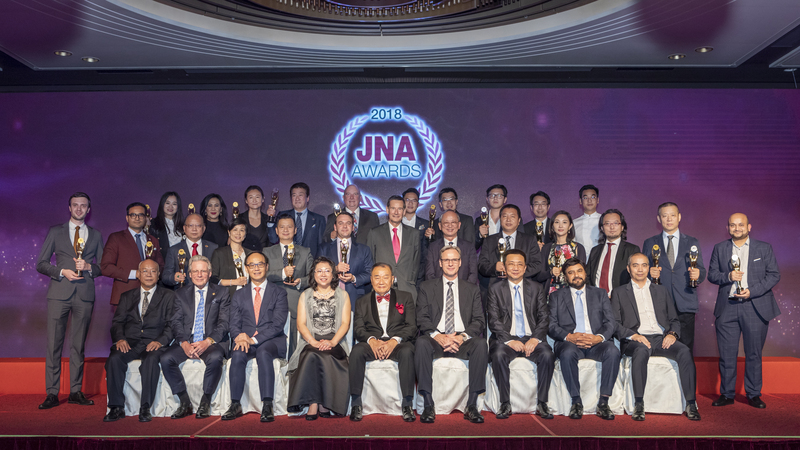 DANAT extends its congratulations to the incredible individuals and companies recognised at the JNA Awards 2018 and looks forward to the next JNA Awards in 2019’.